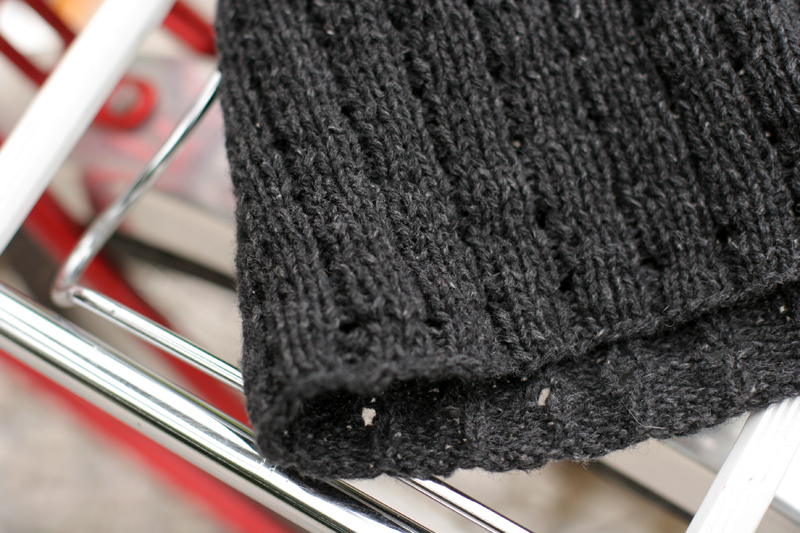 I knit as I sew – making things up as I go along. With a penchant for using what I have lying around, faithfully matching needles and yarn and gauges to patterns has never happened very often. Though, when I’m knitting these invented things, I tend to write the pattern in my head – a sort of storytelling to myself. But since these self-designed things usually start with “take some yarn, cast on an appropriate amount of stitches (which you will figure out what is after starting over five times), and knit until it’s done”, writing up patterns for others to use seems quite pointless. 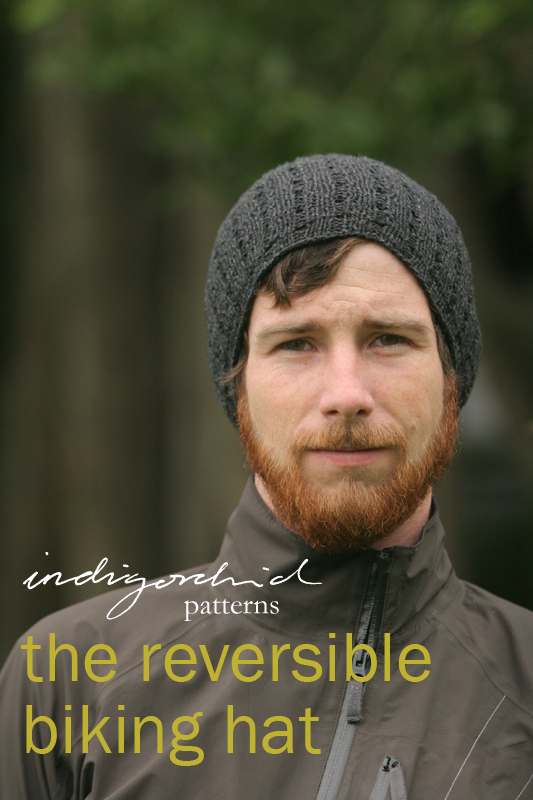 Why reversible biking hat you ask? Because the first edition of this hat has made such a perfect underneath-the-helmet hat for winter-time biking, it covers the ears, it stays put quite nicely on differently sized heads due to the ribbing, *and* there is design interest both on the inside and the outside (which I guess makes both sides the outside?). Casting on, knit stitches (k), purl stitches (p), yarn over (yo), knit two together (k2tog), slip one stitch, knit the next, pass the slipped stitch over the knit stitch (skp), slip one stitch, k2tog, pass the slipped stitch over the knit stitches (sl1, k2tog, psso). With circular needles, cast on 96 (112) stitches and join. Cut tail, pull through remaining loops, tighten, and weave in ends. He’s not really sad, I promise. Grab a yarn you like, grab some needles you like, figure out your gauge. Measure your head, cast on accordingly (I like to measure the stitches stretched out, so the hat fits slightly stretched when it on). Make sure the number of stitches cast on is divisible by 4. Knit until long enough. Decrease in your favorite way. Finish. personal and non-profit use only. This means you are free to knit for yourself, gift, or donate items made using this pattern to non-profit events and organizations, but please do not sell items made with this pattern for profit, and you may not sell the pattern itself. Please link back and credit designer appropriately. Please email me at indigorchid@gmail.com with any questions or comments. That is so cool! What an inspired idea to have reflective yarn, and to use it in winter-wear! I love it! Great! I’m glad I could help! Keep in mind, the hat tends to end up on the small side for a lot of people, so check the gauge against your husband’s head measurement! 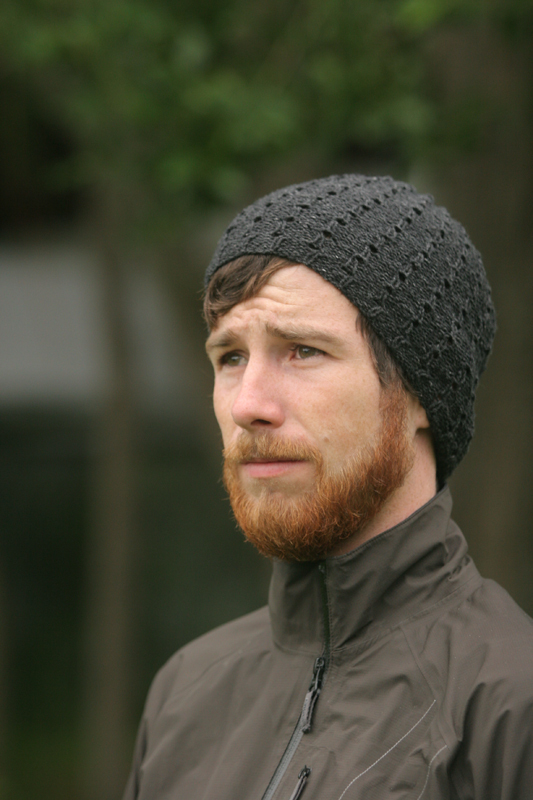 I’d like to knit this for my hubby for Christmas, but I have one question. 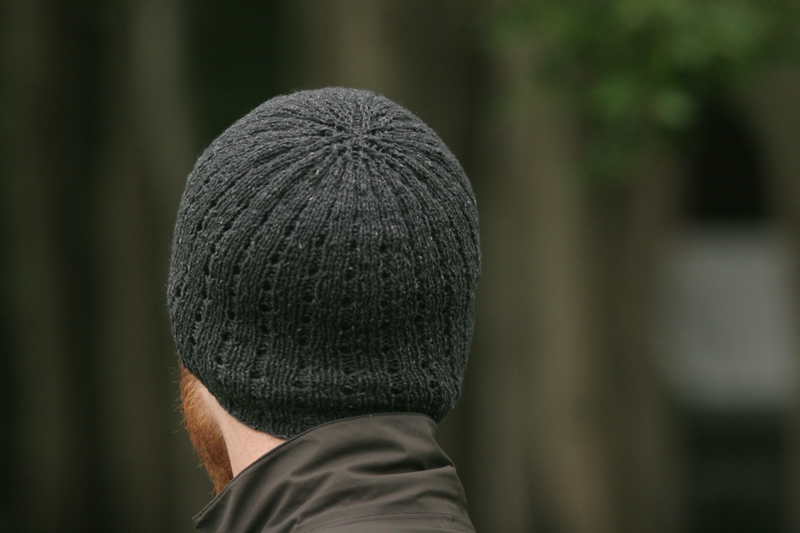 My husband shaves his head and I am wondering if the holes in the hat created by the yarn overs are so big that they will look awkward with a bald head? Thanks in advance for your help! Hi Danielle! That is a good question. I think a couple of other people have made the hat for bald heads, and they look fine. 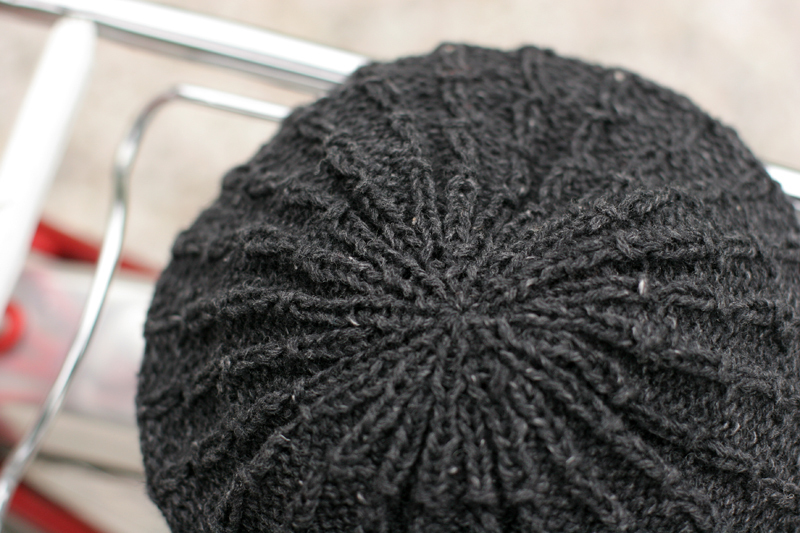 The pattern calls for a sports-weight yarn, so I think if you stay on the thinner end of the spectrum, yarn-wise, it’ll be ok.
See if you check out the gallery over on ravelry! I can’t wait to knit this up. Thanks so much and you might consider opening an Etsy shop and selling your patterns! Oh, thanks Lindsay! That’s very sweet of you!